Thriveology is a Holistic Wellness Center. We believe that the body is designed to be healthy and that it has an innate ability to heal itself. The doctors of Thriveology support the body's natural healing ability using a variety of methods. We offer people options that they never knew they had. These are natural solutions other than medications and surgery. Thriveology is a healthy, toxin free haven for individuals. We are the first and only eco-clinc in Colorado. Our office space was built with recyclable materials, energy efficient equipment, and renewable resources without the use of toxic chemicals. We are always taking new patients. Dr. Carly Letzt Carney Colorado's Elite Chiropractor specializing spine and central nervous system. 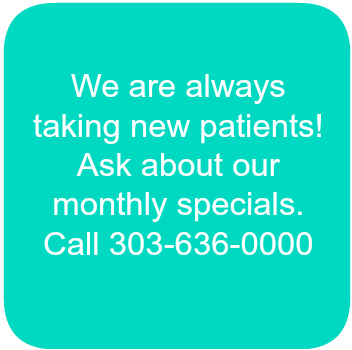 Call now to schedule an appointment: 303-636-0000.